The period of history around the late 6th and early 7th Century could be referred to as the 'darkest years of the dark ages' for the documentation of events at these times is sketchy and incomplete. The writer of historical fiction set in this period must become a detective themselves and solve the mysteries of the past or at least come up with a plausible interpretation of events. 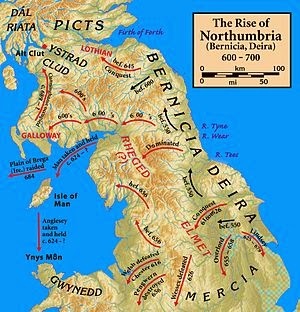 An example of just such a mystery is that of the relations between the two Kingdoms of Bernicia and Deira that become the Kingdom of Northumbria - the powerful kingdom in Britain in the late 7th century. Bernicia was located around Bamburgh and Lindisfarne and its dynasty included a King Ida, who had a son (amongst many), Aethelric who in turn had a son called Aethelfrith. Deira meanwhile was located in Yorkshire and along the Humbar and had a powerful king called Aelle whose had a son called Edwin. What we do know is that out of a dynasty of warrior kings of the northern kingdom of Bernicia, Aethelfrith emerges and conquers or absorbs the southern kingdom of Deria (Aelle by now was dead), marries its princess, Acha and sends its prince, Edwin into exile. Edwin wanders the southern kingdoms for years and then returns from exile some considerable time later and takes back his throne from the usurper around 617 AD. Edwin himself dies in battle around 632 and Aethelfrith's sons return and retake Northumbria. Its a fascinating ding-dong story of fluctuating fortunes. Aethelric of Bernicia succeeeds Aelle about 588 and he or his son Aethelfrith annexes Deira. Prince Edwin (probably only age 3 or maybe 8 goes into exile for 29 years). Aethelric of Bernicia's son Aethelfrith succeeds him to the throne of Bernicia ONLY in 593. He later invades Deira circa 603 to 605 AD, possibly kills the king (who may have been also called Aethelric - but this time Aethelric of of Deira) and rules all of Northumbria for 12 years before Edwin takes it back. This would mean Edwin goes into exile as a teenager aged about 18 or so and spends maybe 13 to 14 years in exile. In his recent The King of the North biography of Oswald, Max Adams plumps for Version A having Edwin go off into exile around 590. (This is a good account of Oswald's life, btw, and well worth the read). I personally, however, favour Version B.
A.D. 560. This year Ceawlin undertook the government of the West-Saxons, and Ella, on the death of Ida, that of the Northumbrians, each of whom reigned thirty winters. A.D. 588. This year died King Ella, and Ethelric reigned after him five years. A.D. 593. This year Ethelfrith succeeded to the kingdom of the Northumbrians. He was the son of Ethelric--Ethelric of Ida. Ok, so that seems nice and clear. The Anglo-Saxon Chronicle has an Alla (Aelle) replaced by an Ethelric who is succeeded in turn by his son. It fits VERSION A of history nicely. If we don't dig any deeper our job is done, and we can all get home for tea and crumpets. But I guess we will see what Bede has to say. --Bede, On the Reckoning of Time, Chapter 66. So in 597 Aelle was still alive. If Bede was right, he did not die in 588 then which contradicts the Anglo-Saxon Chronicle. He was alive and moreover was still a King and ruling in Deira. If that was the case, what was Aethelfrith doing? He could not ALSO have been ruling Deira. 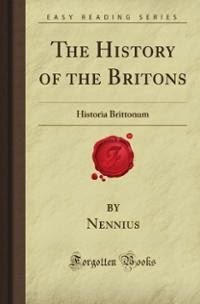 Lets see what Nennius had to say in his Historia Brittonum. Chapter 63: "Eadfered Flesaurs reigned twelve years in Bernicia, and twelve others in Deira"
Now Aethelfrith (Eadfered) died about 616/617 (Bede tells us this elsewhere as does the Anglo-Saxon Chronicle) so working backwards he ruled Deira AND Bernicia from about 604 or 605 and before then was only ruling the northern bit of Northumbria - Bernicia. "Ida had twelve sons, Adda, Belric Theodric, Thelric, Theodhere, Osmer, and one queen Bearnoch, Ealric. Ethelric begat Ethelfrid: the same is Aedlfred Flesaur. "Adda, son of Ida, reigned eight years; Ethelric, son of Adda, reigned four years. Theodoric, son of Ida, reigned seven years. Freothwulf reigned six years. Hussa reigned seven years." Where on earth do all these Kings fit in to VERSION A? The short answer is they do not. VERSION A of history is essentially the version based mostly on the Anglo Saxon Chronicle. The problem is that the ASC was written in the reign of Alfred the Great three hundred years after the time it refers to. By that time the Vikings had destroyed Northumbria and many of its records. The monks compiling the ASC look like they tried to simplify matters and merged the chronologies of Deira and Bernicia and the royal genealogies blurring the issue. They essentially assumed that Aelle was ruling all of Norththumbria, and in turn his successors Aethelric of Bernicia and Aelethfrith were also ruling the whole show. Fortunately we have primary sources closer to events in Bede and Nennius to go to. 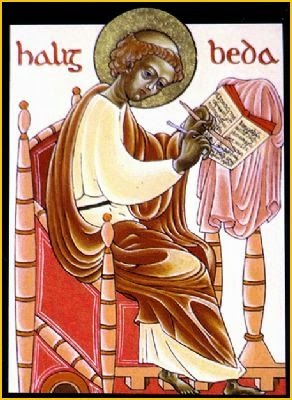 Bede was writing only a hundred years after the events, Nennius two hundred years afterwards and both before the Viking's changed the face of Northumbria. They show us that the whole situation is much more complex than the ASC records. Whilst Aelle is ruling Deira for probably 30 years, carving out a Kingdom in Yorkshire, the Bernicians go through a whole dynasty of kings as they too fight and claw a kingdom together against the might of Owain and Urien of Rheged (but that is a whole other story). What they give us are facts that allow for a VERSION B which relies upon there having been a second King Aethelric in DEIRA as well as the one in Bernicia. This Deiran Aethelric succeeded Aelle perhaps a year or two AFTER the Augustine mission came to Britain. If he ruled for 5 years that brings us conveniently to about 604/605. The facts fit much better. So in Bernicia, Aethelric of Bericia the son of Ida is (eventually and after a few other kings) succeeded by Aethelfrith who for 12 years rules Bernicia alone and then in 604/5 takes over Deira, possibly killing Aethelric of DEIRA and sending young Edwin into Exile. A) Aelle probably had more than one son. Aethelric might have been an older brother to Edwin. Edwin certainly had a nephew Hereric who must have come from somewhere. B) He might have been a brother of Aelle. Aelle had a brother Aelfric, who is mentioned by Bede as being a father to Osric - who briefly succeeded Edwin in 633. C) He may have been a more distant relative, eg a cousin or even a total outsider who stepped in to rule after Aelle died when Edwin was too young to be king. What sort of a man was Aethelric of Deira? Well William of Malmesbury speaks of Aethelric "son of Ida" as being a pitiful, elderly man and shadow of the glory of Aethelfrith his son. This seems at odds with other descriptions of Aethelric of Bernicia as being possibly the man the British called Firebrand, a fierce warrior lord and opponent of Urien and Owain of Rheged who drove his armies deep into the British lands and was remembered in Welsh poetry centuries later. Again here we must remember that Malmesbury was writing his history five hundred years after the events and probably reliant at least partially on the ASC. I think Malmesbury might have confused WHO he was talking about. I think his description is much more likely to be applicable to Aethelric of Deira, a man who succeeded Aelle after his predecessor's long and glorious reign and perhaps was never suited to kingship. Certainly it seems he could do little to halt the expansion of the ambitious Aethefrith of Bernicia who it seems either dominated him politically or, most likely, killed him and took his throne, sending his younger brother, Edwin into exile.